Born: 24 March 1765, Cape Town, South Africa. Died: 14 August 1812, Cape Town, South Africa. Willem S. van Rijneveld was the eldest child of Dani�l van Rijneveld and his wife Anna Grov�. He spent part of his youth in Swellendam, where his father served as landdrost (magistrate) from 1777. In 1782 he started work as a clerk in the secretariat of the Council of Justice (the highest local court of law) and on 12 August that year (aged just 17) married Martha C. van der Riet, with whom he eventually had ten children. He was intelligent, competent and hard working, and was promoted to secretary and member of the Council of Justice in 1789. In February 1793 the Dutch East India Company appointed him in addition as secretary of the orphan chamber - a body controlling large funds - to put much needed reforms into effect. Two years later, in March 1795, he was appointed also as fiscal (equivalent to the modern attorney-general). He furthermore became president of the orphan chamber and was given a seat on the Council of Policy, the final governing authority. In September 1795, when Britain occupied the Cape, Van Rijneveld and one other member of the Council of Policy negotiated the terms of capitulation. He pledged his support to the new administration, with the result that he was retained in his posts, except that the Council of Policy was abolished. As a man of undoubted ability and wide knowledge he became a trusted adviser to the authorities and in December 1795 completed a clear and comprehensive report on the government and administration of the Cape. 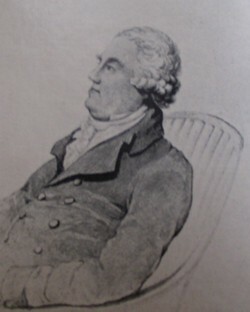 In 1800 Governor George Yonge established the Society for the Promotion of Agriculture, Arts and Sciences with himself as president and Van Rijneveld as one of its councillors. This was the first scientific society in southern Africa, but was mainly concerned with the improvement of agriculture. It foundered shortly after Governor Yonge was recalled in 1801. Van Rijneveld then served on the commission appointed to investigate the serious charges against Yonge's administration. He was also a member of the grain commission, established in February 1801. When the Cape Colony was transferred to the administration of the Batavian Republic (the Netherlands) in 1803 the post of fiscal was abolished and members of the Council of Justice were required to have legal training, hence Van Rijneveld lost these positions. However, he remained president of the orphan chamber and was a member of the grain commission. Though the Batavian Republic disapproved of his co-operation with the British they valued his opinion on non-political matters. Governor J.W. Janssens asked him to make recommendations on how agriculture and stock farming in the colony might be improved. He sent questionnaires on the merits of merino sheep farming to leading farmers and, while living on his farm at Groote Schuur, compiled a thorough report, Aanmerkingen over de verbetering van het vee aan de Kaap de Goede Hoop... (Notes on the improvement of livestock at the Cape of Good Hope...; Cape Town, March 1804, 104p). His most important recommendation was that a wool export industry should be established at the Cape by replacing the Cape fat-tailed sheep with merino sheep. A second recommendation was that Cape cattle should be cross-bred with Dutch cattle to improve their milk yield, so that dairy products could be provided for local consumption. The report was published, with annotations and an English translation, by the Van Riebeeck Society in 1942. In accordance with its recommendations a Commissie ter verbetering van Veeteelt en Landbouw (Commission for improving Cattle Breeding and Agriculture) was established in May 1804 and Van Rhijneveld appointed as its chairman. This commission was effectively the first Department of Agriculture at the Cape. Several farms were put at its disposal, one of which, Groote Post, served as an experimental farm. However, the commission gave most of its attention to stock farming. Van Rijneveld and two other members of the commission toured the western half of the colony to promote wool farming and submitted a report to the Governor. At the latter's request he also wrote a report on the stock-farming, agriculture, trade and finances of the Colony of the Cape of Good Hope in 1805. This comprehensive report included further recommendations aimed at making the colony more prosperous. Years later it was published in parts in the Zuid-Afrikaansche Tijdschrift (1831-1833). Following the return of the Cape to British control in January 1806 Van Rijneveld was again appointed to the revived post of fiscal, as vice-president of the Council of Justice, and inspector of Constantia wine. As fiscal he served on select committees and commissions concerned with, among others, the supply of barley, the regulation of grain consumption, and grain storage. The Commission for improving Cattle Breeding and Agriculture, renamed the Board of Agriculture, continued to function and Van Rijneveld remained its chairman until his death. After 1806 the Board gave more attention to the improvement of plows. In April 1809 Van Rijneveld became president of the Court of Justice (Chief Justice of the high court). Over many years and under several administrations he was a most influential colonial official whose abilities were widely recognised and whose enlightened views and recommendations were regularly accepted by the authorities. However, part of the local Dutch community resented his pro-British attitude. In 1812, at the peak of his successful career, he committed suicide. African court calendar, 1801, 1802, 1805, 1806, 1812. Reprinted by SA Library, 1982. Immelman, R.F.M. Men of Good Hope: The romantic story of the Cape Town Chamber of Commerce, 1804-1954. Cape Town Chamber of Commerce, 1955. Thom, H.B. Willem Stephanus van Rijneveld se Aanmerkingen over de verbetering van het vee aan de Kaap de Goede Hoop, 1804. Kaapstad: Van Riebeeck Vereniging, VRS 23, 1942. Van Zyl, D.J. Die geskiedenis van graanbou aan die Kaap, 1795-1826. Argiefjaarboek vir Suid-Afrikaanse Geskiedenis, 1969, Deel 1, pp. 167-290.